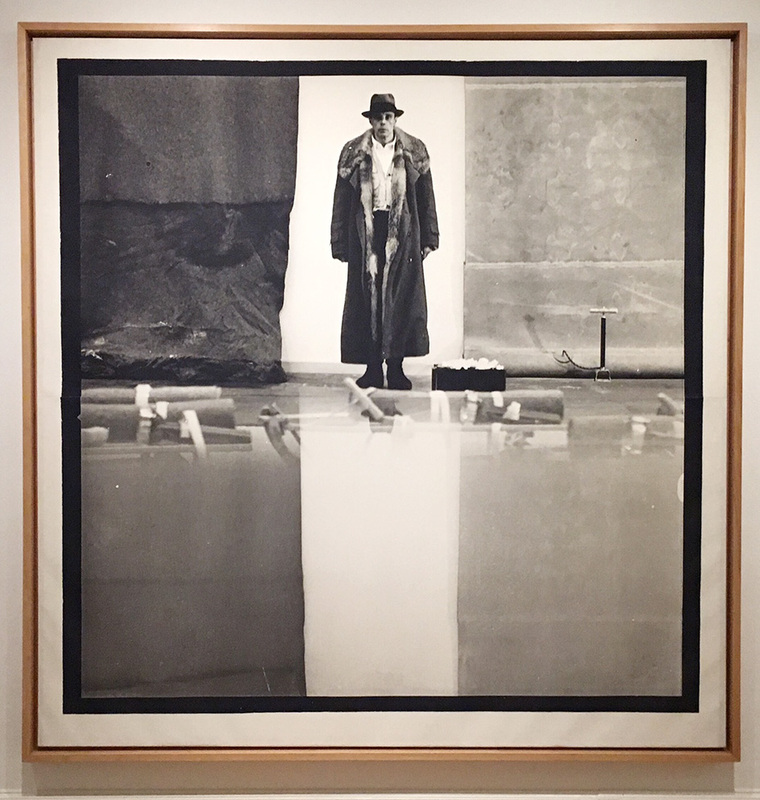 This exhibition marks the 30th anniversary of the death of the great German artist Joseph Beuys (1921-1986). It is also the first time the collection of over 100 of his drawings, jointly held by National Galleries of Scotland and Tate, under the banner of Artist Rooms, has been shown as a single entitly. This collection, primarily of works on paper, put together over many years by Anthony d'Offay, and in the beginning with the help of Beuys himself, is one of the most important holdings of its kind anywhere. Beuys's work took many forms, employing all kinds of media to create single sculpture large and small, object for vitrines, films, "Actions" and lectures illustrated with blackboard drawings. Beuys regarded drawing as 'the first visible form' of his ideas. He explained 'I ask questions, I put forms of language on paper, a language to stimulate more searching discussion'. The drawing, he felt, became a 'kind of reservoir that I can utilise again and again'. The drawings in Projekt Westmensch (The Western Man Project) 1958, on display in this exhibition, illustrate this concept of a battery of ideas. Artist Rooms: Joseph Beuys A Language of Drawing covers the whole of the artist's career from 1945 to the end of his life, providing an overview of his artistic development. Early drawings of the natural environment and animals draw on romantic and Celtic traditions. Mysticism informs his portrayals of women as 'actresses' or witches, and men as shamans- conduits to the spiritual world. Ideas about warmth and cold, energy and elasticity infuse his works, leading him first to a theory of sculpture, and then on to ideas about 'Social Sculpture'. Working with Fluxus group in the Sixties led on to ever more complex performances which he termed 'Action', in which his personal charisma was a key factor. 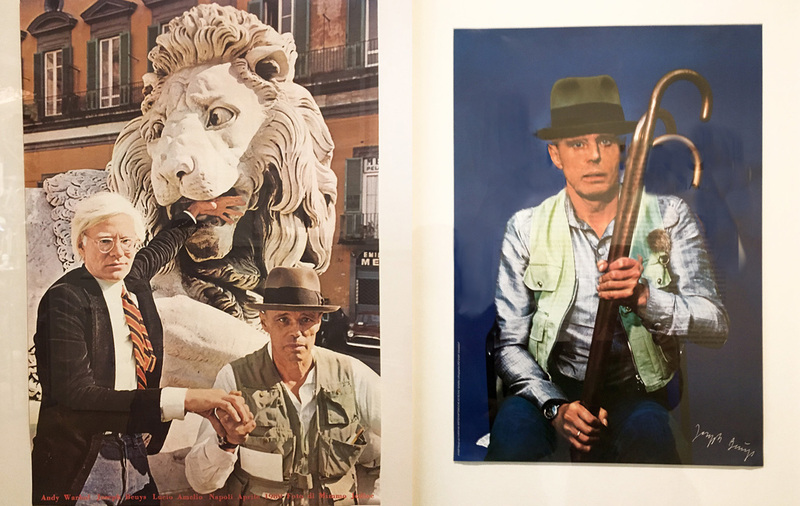 Political engagement led Beuys to become a co-founder of the Green Party, and leater to initiate the 7000 Oaks project for the city of Kassel in Germany. Using a wide variety of media-graphite, oil and water-based paints, 'Braunkreuz', and natural juices, applied to various types of paper, card, wood or metal- Beuys seeks to engage everyone in his 'Social Sculpture' project. 'Everyone is an Artist' he says. Everyone can use his or her creativity to build a better society. Art, not money is the real capital. Beuys sought individual freedom and a sustainable life in harmony with nature-ideas that have even greater resonance today.